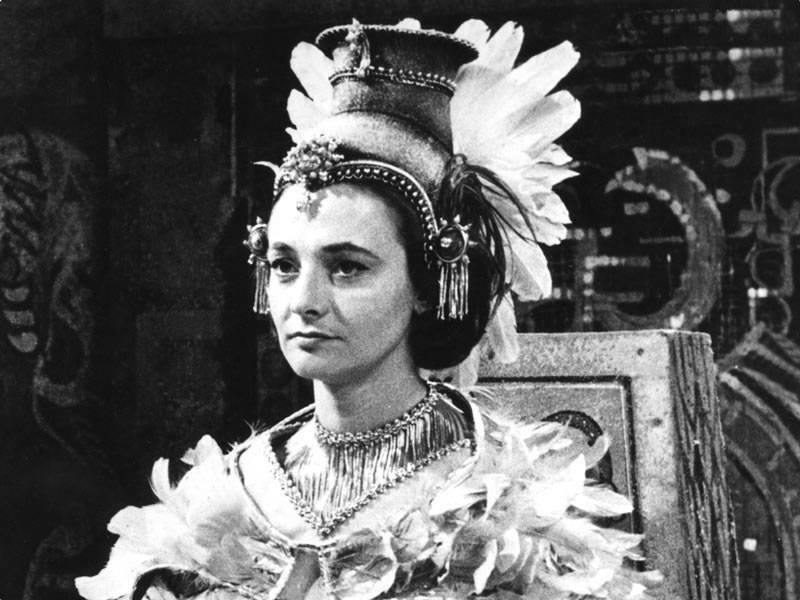 Throwing shade, making allowances and The Aztecs (1964) | Randomwhoness: a Doctor Who blog by Johnny Spandrell. Sampling stories in random order. I’m talking retrospectively now, when I look back at Doctor Who now. I laugh at it, fondly. As a television professional, I think how did these guys get a paycheck every week? Dear god, it’s bad! Nothing I’ve seen of the black and white stuff – with the exception of the pilot, the first episode – should have got out of the building. They should have been clubbing those guys to death! You’ve got an old guy in the lead who can’t remember his lines. Bit harsh! Particularly seeing as the person being quoted is none other than Steven Moffat, showrunner of Doctor Who. But I wouldn’t hold him to this; there’s plenty of boozy conversations I had in 1995 which I wouldn’t want recorded and transcribed on the internet for posterity. Although I don’t think in any of them I advocated clubbing anyone to death. Could be wrong though. Now, I can’t agree with Moffat the Younger’s assessment that all 60s Who post An Unearthly Child was bad. But perhaps you do have to be a fan to look past early Who‘s limitations; perhaps this is what I’ve done with all the Hartnell and Troughton stories I’ve randomed (need a handy list? Why, here’s one!). Which makes me wonder how many allowances does a viewer have to make to enjoy 60s Doctor Who? And so I’ve been thinking about this in relation to one of the most highly regarded 60s stories. In The Aztecs, our original TARDIS crew of the Doctor (William Hartnell), his granddaughter Susan (Carole Ann Ford) and her teachers Barbara Wright (Jacqueline Hill) and Ian Chesterton (William Russell) land in 16th century Mexico and are, as in so many early stories, cut off from the Ship. They become embroiled in local politics when Barbara is a. mistaken for a reincarnated priest and b. attempts to dissuade the locals from practicing human sacrifice. All in a day’s work. It may be over 50 years old, but The Aztecs still impresses and fascinates. It’s one that deserved to be let out of the building. It presents an interesting (pro-colonial?) dilemma and cuts along at a pace which far outstrips many other Hartnells. But there is something inherently hokey about the way it was made, which I think is one of those things a viewer has to make allowances for. Luckily there’s something utterly convincing about it too. For an example of this inherent contradiction, consider Barry Newbery’s sets. They are all rostra, polystyrene and painted backdrops. They are in essence, the stuff of theatre, the influence of which is so palpable in these early Doctor Whos. There’s no reason why these stagey sets should have the power to transport us to this distant civilisation. And yet they do. They offer the viewer a complete world. I realised watching the story again that I had a real sense that the warriors’ training camp was some distance from the elders’ garden and that both were in different places to the temple and the tomb in which the TARDIS lands. Of course in reality, they were butting up against each other in Lime Grove Studio D. Somehow, through some Newbery magic, it works. The dramatic import of that line is undermined by the fact that the Doctor and Barbara are just there and clearly within earshot. We have to suspend our disbelief because that’s the style of piece. The cameras don’t offer the flexibility to do anything differently. Remember those hulking great things didn’t even have zooms. (There’s another example of these camera limitations when Barbara first exits the tombs wearing Yetaxa’s bracelet. To get it into shot, and thereby signal its significance, Jacqueline Hill has to raise her arm up in front of her torso and allow the camera to creep forward.) As for changing shots, this is an era when editing literally meant cutting tape with scissors and reattaching it with sticky tape, so the more long lingering shots the better. So anyway, Ringham’s performance is theatrical in style, but it’s full of conviction. Subtle, it’s not, but he speaks of his desire to bring down the ‘false goddess’ with such venom, you can’t help but believe him. His ambition is almost tangible. Again, somehow it works despite of itself. But you can see what I’m doing here; making allowances all over the place. For familiar Doctor Who bugbears: lack of time, lack of money, lack of technical sophistication, and a penchant for theatre. I’m a forgiving viewer. Young Moffat’s right, I think, to present the alternative view of someone who’s not prepared to be so forgiving. And even my sympathetic eye can pick out some flaws; the fight scenes are slow and unconvincing, a few performances are wooden as, and the whole plot hinges (geddit?) on our heroes forgetting to leave a door open. Twice. WithThe Tenth Planet, the good and the bad elements sat next to each other in strange opposition. With The Aztecs, I’m saying something different: that I can see that it shouldn’t work as TV (at least to our modern sensibilities), but somehow it does. Let’s put our clubs down, Moff, say I, at least for this one. And as for the old guy who can’t remember his lines… He’s nowhere to be seen in The Aztecs. Hartnell gives an awesome performance here, moving easily from calculating old schemer to gentle romantic (his romance with Aztec lady Cameca offers some welcome light relief). And occasionally the unpredictable alien peeks out from behind his grandfatherly facade. Early on, Ian is quietly appalled when he realises he’s going to have to hold down a man while he’s stabbed to death. “Do it, man!”, the ever pragmatic Doctor urges. “Do it but don’t interfere”. It doesn’t come to pass in the end, but has a Doctor ever asked a companion to be an accessory to murder since? A spiky ruthless grey haired Doctor pushing his companions to the limits? That’d never work, right Moff? Take their pay cheques back immediately. LINK to The Dominators. In both, aliens arrive in a new culture and question that society’s ways. NEXT TIME… God save the Queen, ay? Let’s light The Idiot’s Lantern.